kids, teens, and their parents. Please click on an area below. Ht. 5'8", Start: 300 lb, Current: 220 lb, Goal: 160 lb - I've been using this site since I was 13 and am now 20. Lemme tell you this is the best teen weight loss site there is. It's so simple, down to earth and informative. My advice to you is to stay with it and get a weightloss buddy on here. Also share tips with each other and don't hold anything back. Good luck with your weightloss! 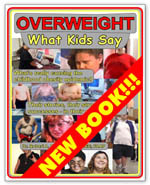 Blubberbusters offers online health and weight loss education, an online support community of several thousand overweight kids, teens, and parents from around the world, and self-managed personal weight loss charts and goal setting, which may be viewed by a child's healthcare provider, thus allowing secure interactive background support. � 2000 - 2011 eHealth International, Inc.
"Blubberbusters" is a registered trademark of eHealth International, Inc.